Atiku Abubakar polled 1,532 votes to clinch the presidential ticket of the Peoples Democratic Party. The South-West Vice-Chairman of the party, Dr. Eddy Olefeso, made the demand in Lagos on Friday night, at a meeting of key members across the six states in the zone. 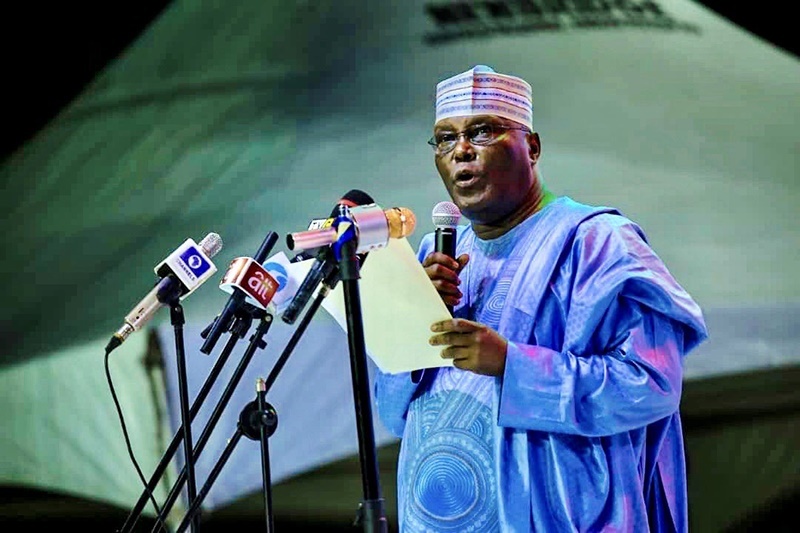 The South-West Zone of the People’s Democratic Party has urged the party’s presidential candidate, Atiku Abubakar, to give more key positions to the zone, if he emerges as president. The meeting, which lasted hours, had in attendance a former Deputy National Chairman of the party, Olabode George; the current Deputy National Chairman (South), Yemi Akinwonmi; and a former National Vice Chairman of the party, Tajudeen Oladipo. Olafeso said though the promise of the Secretary to the Government of the Federation slot by Atiku was a good development, the zone deserved more key political and government positions. Olafeso said for Atiku to give the zone a sense of belonging and compensate “for the years of abandonment”, he should zone key positions like the Chief of Staff to the President and Àttorney-General of the Federation to the South-West in addition to the SGF.